This Universal Nutrition Animal Pak review is going to shed some light on a terrific supplement that is sure to boost your athletic performance, endurance, and energy. Animal Pak has been a tested and trusted supplement since 1983 and has been the top choice of nutritional supplement for many Olympia bodybuilders, world record-holding powerlifters, and Olympic competitors. Animal Pak is a multi-vitamin with a difference. 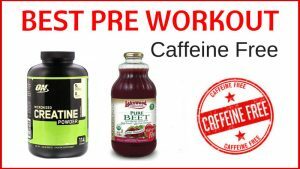 This supplement is for serious and elite athletes and contains over 75 key ingredients for optimal performance. Without further ado, this Animal Pak vitamins review is going to explore exactly what this product does and how it does it so well. Most fitness buffs know that a multi-vitamin is an incredibly important supplement to take every day. However, most fitness﻿ buffs also know that the majority of multi-vitamins are simply not good enough. Most vitamins don’t support them or their energetic lifestyles. When we exercise, we lose a lot of valuable minerals and nutrients in our sweat and we need to get those nutrients back to ensure rapid and full recovery. The problem with most multi-vitamins is that there aren’t enough nutrients for the serious athlete. The nutritional profile is typically pretty bad. But what can you expect from simply taking one tablet? The answer, according to Animal Pak, is multiple tablets! The reason why Animal Pak is able to pack such a magnificent nutritional profile is due to the fact that the supplement is not just one tablet but eleven different tablets. With every serving of Animal Pak, you get vitamin D, zinc, vitamin B12, magnesium, potassium, a whole bunch of amino acids (including the BCAAs, glutamine, and tyrosine), milk thistle, lots of antioxidants, lots of digestive enzymes, and a little bit of protein for good measure. Most multi-vitamins will run you $15 - $20 for a month’s supply. Animal Pak is around this price and you get 44 packets. If you take one packet a day, Animal Pak will last you as long as a normal multi. If you take two packets, it will still last you three weeks. This is a fantastic deal because, for the price of a normal multi, you get a multi-vitamin supplement that is so much better than the other supplements out there. 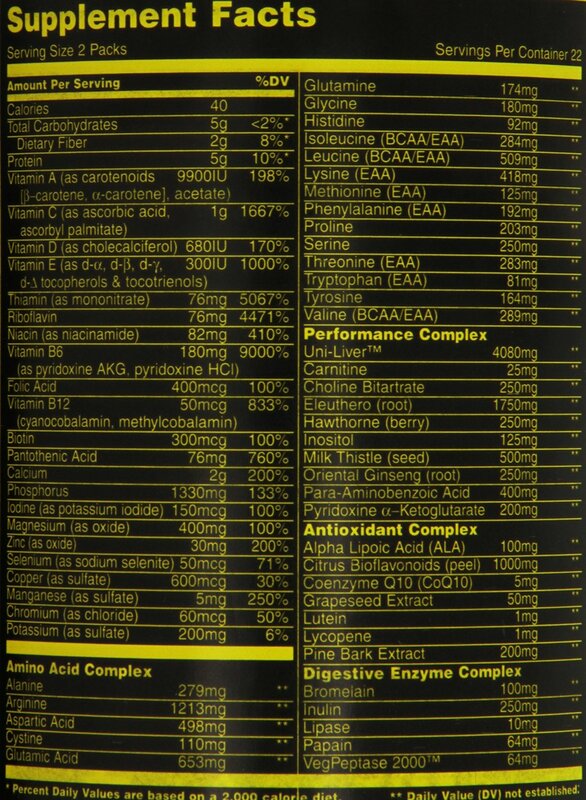 Animal Pak is filled with many more nutrients and minerals than pretty much anything else on the market. If you check out other Animal Pak reviews, you’ll see that I’m not the first person to marvel at Animal Pak’s superiority in the multi-vitamin market. If you’re a high-performing athlete and you’re already committed to chugging down adequate protein, getting enough rest, and eating clean, the next logical step is to add Animal Pak to your routine. Although Animal Pak is nutritionally dense, it’s not calorie-dense. 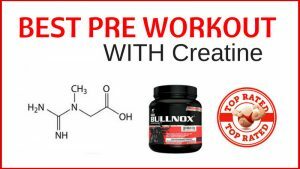 So you can use it whether you’re cutting, bulking, or simply need a boost in performance. Whether you’re a long-distance runner, a bodybuilder, a powerlifter, or a sportsperson, Animal Pak can offer you a small but valuable edge. 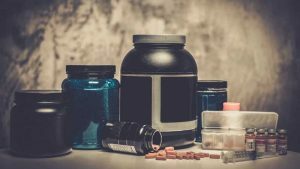 Great Nutrition Profile: The biggest pro, as already mentioned, is that you are getting a multi-vitamin supplement that has a better nutritional profile than any other multi on the market. The price is reasonable: When you compare Animal Pak to other lesser mutli-vitamins, you’ll see that you’re getting a good deal. Sure, it’s still pretty pricey, but if you cycle on and off, you can keep the long-term costs down. 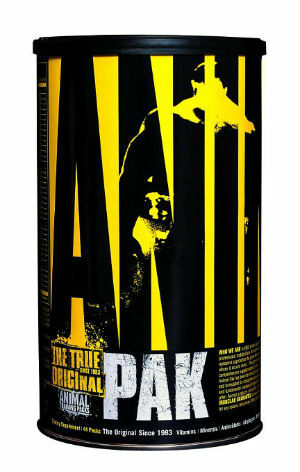 You’ll feel great: Animal Pak helps to correct nutrient deficiencies that are common in athletes. Once these deficiencies have been corrected, you’ll feel happier, healthier, more clear headed, and be able to recover faster and train longer and more often. Some Animal Pak reviews claim that this product is the closest thing to legal steroids. I wouldn’t go that far but if you are deficient in one or several of the minerals and nutrients contained in Animal Pak, this product will make you feel amazing. Too many tablets: The biggest con is that there are so many darn tablets! Not only that, but many of these tablets are pretty big and they smell kind of funky. No one likes taking one tablet every day, let alone eleven of them! But it’s required in order to get the huge amount of nutrients and minerals and other goodies than Animal Pak contains. I recommend not sticking your nose into the jar and smelling the tablets. I also recommend taking these tablets with a tasty beverage, like your favorite protein shake, to mask the taste. Your pee turns bright yellow. Maybe this isn't a huge con. But if you don’t expect it, it’s definitely a shock. The reason for this is because of Animal Pak’s vitamin B12, which always turns your pee fluorescent yellow. It’s completely normal so don’t worry! You need to drink more water. 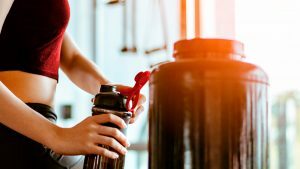 You should already be drinking lots of water, especially if you’re an athlete. But taking Animal Pak requires you to up your water intake a little bit more to stop from getting any intestinal upset from the onslaught of nutrients. To conclude this Animal Pak review, I’d like to whole-heartedly recommend this supplement to any serious athlete looking for an edge or better health. Sure, it’s a pain to take a whole bunch of big tablets each day. But the benefits definitely outweigh the negatives. Once you’ve taken your packet for the day, you’ll feel greater energy in the gym, greater contentment, and greater health. It’s definitely worth the money and I suggest every athlete try Animal Pak at least once. 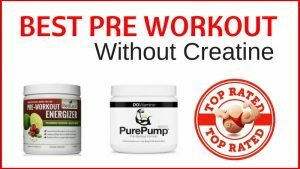 You’ll very quickly add it to your permanent stack once you see the great results. If you’re in the market for a multi-vitamin, forget the garbage that you see in most drugstores. Do yourself a favor and pick up an Animal Pak! Do you take Animal pak sometimes on an empty stomach before morning cardio or a workout? Yes I have taken them on an empty stomach but as with everything it is worth experimenting to see if this works for you and not everyone can take this type of thing on an empty stomach.